“Don’t be evil” has been a part of Google’s Code of Conduct since 2000. However, that phrase, “Don’t be evil” has been removed from the top of Google’s Code of Conduct. The encouragement to not be evil is not gone. It’s simply not the major focus of Google’s Code of Conduct anymore. The phrase “Don’t be evil” was previously the preface to Google’s Code of Conduct. Now the phrase “Don’t be evil” is in the concluding statement of Google’s Code of Conduct (as before), like a coda. There have been click-baity news reports stating that “Google Removes ‘Don’t Be Evil’ Clause From Its Code of Conduct” but that is not entirely accurate. Google has not removed that clause. Google has removed it from the preface, resulting in more attention to the word respect. But it still remains at the end of the document as before. Formerly the word evil appeared four times in Google’s Code of Conduct. Now it appears just one time, at the end. Is Don’t Be Evil Gone from Google? No. Google’s famous exhortation to “Don’t be evil” is not removed. It is still there. What has changed is that the entire first paragraph that included “don’t be evil” has been removed and a portion of the second paragraph was rewritten. Don’t be evil.” Googlers generally apply those words to how we serve our users. But “Don’t be evil” is much more than that. Yes, it’s about providing our users unbiased access to information, focusing on their needs and giving them the best products and services that we can. But it’s also about doing the right thing more generally – following the law, acting honorably, and treating co-workers with courtesy and respect. This is an interesting change. I believe the word Respect acknowledges the changes in society brought by the Me Too movement and reflects the state of cultural politics in 2018 where disrespect of cultures and races are prevalent in certain circles of American society. Respect has always been a major part of Google’s Code of Conduct. But because of it’s placement in the document beneath the “Don’t be evil” phrase, it seemed as if it was in second place. 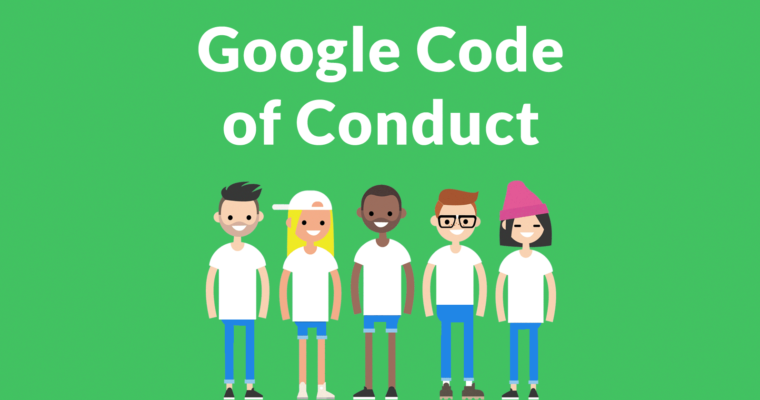 With the change of the Don’t be evil motto to just a concluding statement, the ideal of respect can now be seen as a more important aspect of Google’s Code of Conduct. As you can see, Google may have an internal problem with issues of respect. That’s just one example of Google’s internal issues with employees. That may be a reason why the word respect seems to hold a more prominent position in Google’s Code of Conduct. Note the first paragraph of the code of conduct and the word Preface that indicates that the “Don’t be evil” slogan is part of the preface. Note that the entire first paragraph and the word preface have been removed. The slogan “Don’t be evil” remains exactly the same in the section titled, Conclusion. The slogan about not being evil always seemed to me like a slogan representative of idealistic youth. It’s a great ideal and I share the sentiment. Google’s reconsideration of the motto as more of a final statement than a preface may represent a more mature outlook at Google. 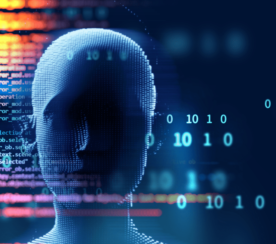 The focus on respect while still holding on to the ideal of not being evil represents Google taking a pragmatic estimation of itself, how it has grown and and perhaps a statement of the direction Google aspires to. Not being evil remains a part of Google’s journey.